Thomas Joseph Nickels was born on Jan. 2, 1935, in Philadelphia, to John and Mary McDonough Nickels. He is survived by his beloved wife of 15 years, Lynn Conner Nickels, Deer Lake. He was the devoted father of Kathy Roth and her husband, Ron, Auburn, Christine Nickels, Bethesda, Md., Maureen Strong, North Easton, Mass., and Megan Abbett and her husband, Keith, Sherborn, Mass., three stepdaughters and two stepsons; cherished grandfather of Caitlin, Sean (spouse of Katie Holohan), Jeremy and James Hoban, Angelique Nickels, Alicia and Nicole Strong, Kismet, Kai, Dagny and Piper Abbett, Emily and Kayden Brish, Grace and Marina Ortiz, Sophia and Diego Vega, Ryan and Rochelle Roth; proud great-grandfather of Riley Smith and Jaiden Roth. He is also survived by his friend and former wife, Carol Nickels, Philadelphia, and his beloved feline companion, Auto. Tom was predeceased by his father, mother, and granddaughter, Aria Vega. Tom's family lived in Philadelphia until 1942 when his father was commissioned in the Army. In 1947, Tom and his mother moved to Coral Gables, Fla., where he graduated from Geus High School. He then attended the University of Florida, Gainesville, and completed his law degree at Cleveland-Marshall Law School. He proudly served as a reservist in the Marine Corps. Upon graduation, he returned to Philadelphia and worked as an assistant trust officer for Fidelity Bank. In 1961, ?he married Carol Schade from Bloomington, Calif., settling in Philadelphia initially and ultimately moving to Cressona after accepting a position with Houck, Bohorad and Lipkin in Pottsville. Tom opened his private practice in the Thompson Building where he remained for more than 30 years. Tom and Carol welcomed their four daughters while living in Cressona, settling in Deer Lake in 1976. Additionally, he served as first assistant district attorney for nearly 20 years. He served as solicitor for the Borough of Cressona, Schuylkill County Municipal Authority, Schuylkill Redevelopment Authority, Blue Mountain School District, Blue Mountain Recreation Commission, Pine Grove School District and AAA-Schuylkill County. Through the course of his career, Tom served on the board of directors and as president of Schuylkill County Bar Association. He was a delegate to the House of Delegates and served on the Judicial Evaluation Committee. 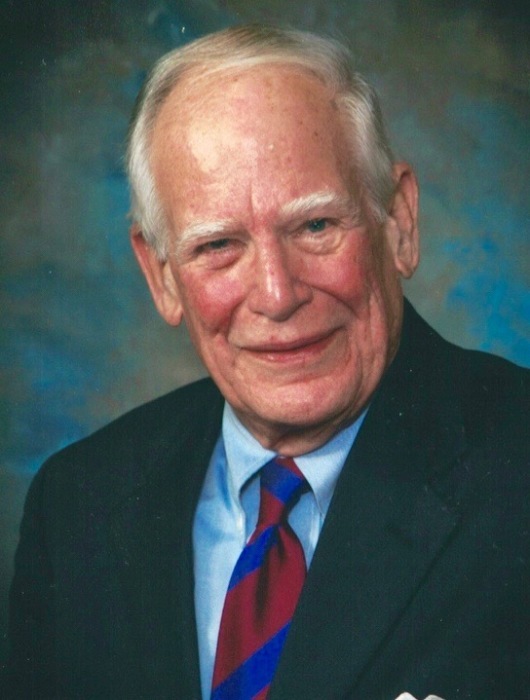 He was a longtime member of St. Ambrose Parish and served on the board of Nativity BVM High School. Tom accomplished many things through the course of his professional career, but he was most proud of his children, grandchildren and great-grandchildren. He shared with them a love of theater, fine arts, family vacations to his beloved Vermont and a deep appreciation for a beautiful sunset. In lieu of flowers, his family kindly suggests that memorial gifts in Tom's memory may be sent to Nativity BVM High School, 1 Lawtons Hill, Pottsville, PA 17901 (www.nativitybvm.net), or St. Ambrose Parish, 302 Randel St., Schuylkill Haven, PA 17972. A Mass of Christian Burial will be held at 10:30 a.m. Saturday at St. Ambrose Roman Catholic Church, Schuylkill Haven, with Monsignor Edward Zemanik officiating. A viewing will be held from 5 to 7 p.m. Friday at Ebling-Stabingas Funeral Home, Cressona, and from 9:15 to 10:15 a.m. Saturday at the church.